Foreign Minister Shah Mehmood Qureshi said on Sunday that the recent negotiations between the United States and the Afghan Taliban were a "major diplomatic victory", adding that Pakistan played an instrumental role in bringing the Taliban leadership to the table. 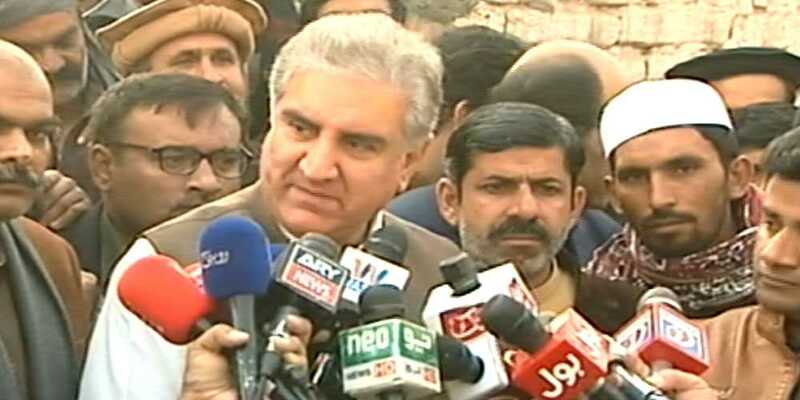 Speaking to the media in Multan, the foreign minister said peace in the region is not possible without dialogue. “Pakistan has pursued a regional outlook by reaching out to different countries and advocating its resolve for a stable and peaceful region,” he said.